If you’re not a fan of using Picasa Photo Albums to share your images and prefer to use the old method of sharing photos via email, then this is the guide for you. The guide below will show you how to use Picasa to email photos using your default email application or Gmail. 1. Select the images you wish to email. 2. Click the Email button on the bottom pane. Mail: Use your default mail application. Google Mail: Use Gmail to send the selected images. A. If you wish to skip this prompt in the future, check Remember this setting, don’t display this dialog again. 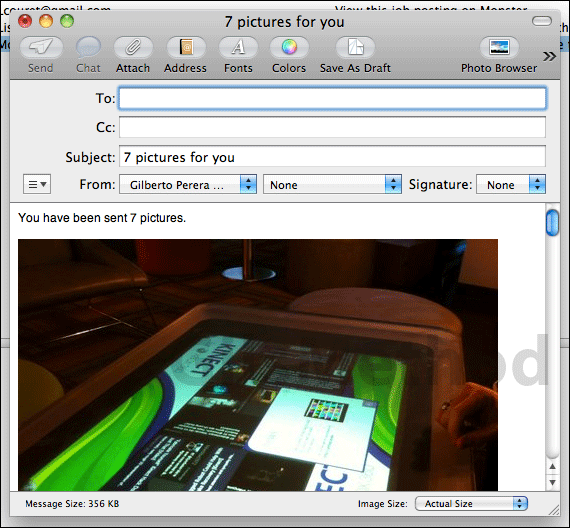 Depending on the option you chose you will see your default application or a Gmail window within the Picasa application. If you have any comments or questions please use the comments section below.